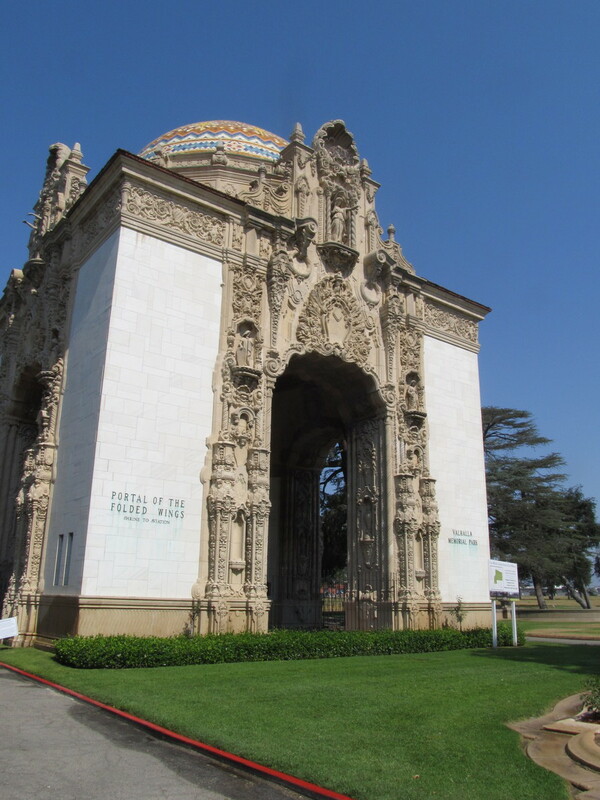 Today’s bike club ride was yet another celebrity grave tour. 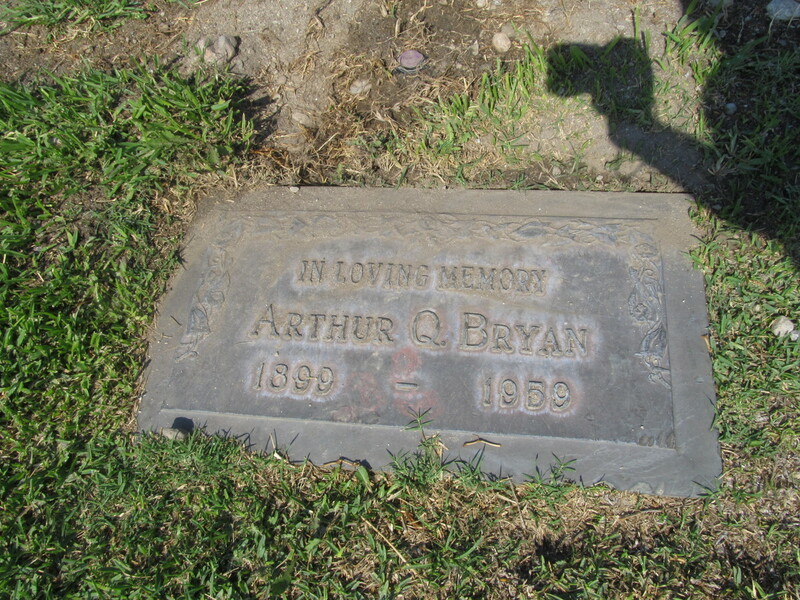 In this case, we went to see Arthur Bryan, who created the voice of Elmer Fudd in the Warner Brothers cartoons of yore. We rode out across Eagle Rock and Glendale to Burbank. We took the short side trip to see the tortoises, but they were gone. One of the neighbors told us that the man’s wife wanted to have a front lawn again, so the big tortoises had to go. When we got to the cemetery, we rode in and found Mr Bryan. As it turned out, he was fairly close to where Oliver Hardy is buried. 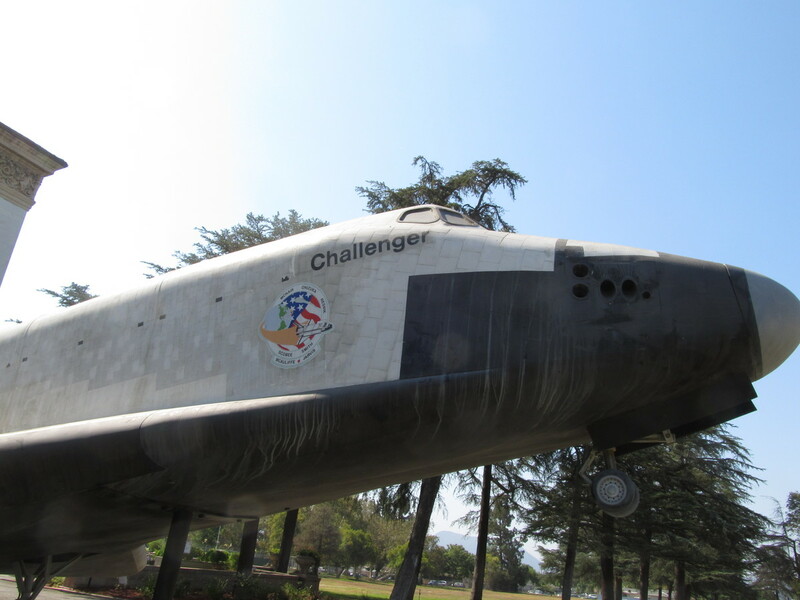 After that, we stopped by the Portal of the Folded Wings to see the space shuttle memorial. Our snack stop was at Priscilla’s, and after that, we headed home by way of Glendale and up and over Linda Vista and Lida St.